Wilco Contractors specializes in both roof replacement and new roof installation in Texas. There are many reasons to install a new roof, which is why our expert roofers will inspect your home's roof and help you decide if roof replacement is necessary and worth the investment. 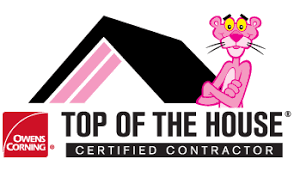 If you rent out a home, are planning on selling your home, or if your roof is more than 20 years old, Wilco Contractors suggests having your roof inspected to assess any damage and determine if the roof can be repaired or if it's time for a new roof. Contact us today to schedule an estimate for roof installation or replacement in Texas, including Mesquite, Dallas, Garland, and nearby. Asphalt roof shingles typically last anywhere from 15 to 25 years. Unfortunately, factors such as storm damage, low slope, ice damming, and mold or moss growth can significantly shorten the life of an asphalt roof. If your roof has any of the characteristics described in the “signs of worn roofing” sidebar, it’s a good idea to replace the roof. Otherwise, you risk even more severe problems like rotted roof framing and leaks that can damage the house and its contents. You can expect your roof to last somewhere around 20 years, but over time, your roof takes a significant beating. We understand that replacing your roof is a big investment, which is why our experienced roofing professionals will provide you with a high-quality roofing system that will give you peace of mind. From the inspection to the roofing installation, to the cleanup, you've come to the right place for roofing services in Texas that you can trust. Give us a call at 1-855-782-1023 or fill out our online form for a roof replacement quote today! We proudly serve Dallas, Mesquite, Garland, Cedar Hill, Desoto, Rowlett, Balch Springs, Duncanville, Lancaster, Rockwall, and areas throughout Greater Dallas.